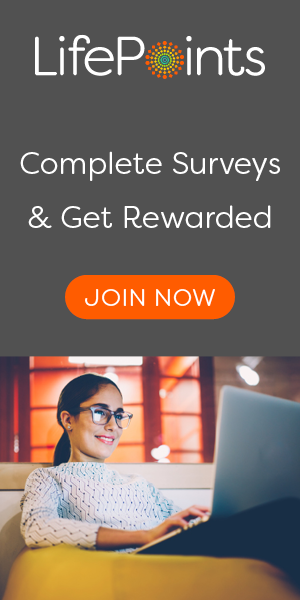 Take surveys at one of the Web’s fastest growing survey sites, Crowdology. Crowdology works with some of the UK’s biggest brands who want to know exactly what you think of their products and services. Your responses help brands improve their products and services which is why they will pay you up to as much as £10 per survey in cash or Amazon vouchers to spend on whatever you want. Typical surveys at Crowdology take on average 2 to 15 minutes to complete so are easy to fit into your day. They can be taken whilst you are out and about on their app or at home through their website. For each survey you take part in you are paid between 40p and £10+. Cash sent via Paypal: There are no hard to understand points systems at Crowdology, all money that you earn for each survey is added straight onto your account balance. As soon as you have just £4 on your account balance you can request a payment to Paypal. Payments to Paypal are usually sent instantly but can in some cases take a couple of days. You will be charged a small 2% handling charge by Paypal for receiving the money. Save up for an Amazon Gift Voucher: If you don’t have a Paypal account or you would prefer a voucher payment then rather than cashing out at £4 you can save up £10 and get an Amazon Voucher. Amazon vouchers usually take a little longer to be sent than cash. Anyone can join Crowdology as long as you are aged 16 or above and are living in the UK. Other than that all they ask is that you take their survey and provide open and honest answers to all the questions. To get started at Crowdology simply enter your details on their short registration form and then click on the link in the email you are sent to activate your account. When you first log in you will be asked to complete the profile information. You can still take surveys without completing your profile but a completed profile will increase the chances of receiving surveys that are relevant to you. When a survey becomes available that matches your profile information you will be sent an invitation email. The email will include the length of time the survey will take and how much you will earn for completing it. All surveys are first come first served so the faster you take it the less chance it will be full. As Crowdology has thousands of members it’s recommended that you take each one you get as quick as possible. From time to time you may also be invited to take part in telephone interviews or focus groups, as well as providing feedback via a bulletin board, video diary or webcam. For these extra tasks, you will be paid a little more than standard surveys. Contact form can be found via the ‘Contact us’ form on their website. They aim to respond within 24 hours. Eligibility: You must be aged 16+ to join. UK residents only.